Aiteo group signs N2.5bn deal with NFF, to pay coaches salaries for 5 years – Royal Times of Nigeria. 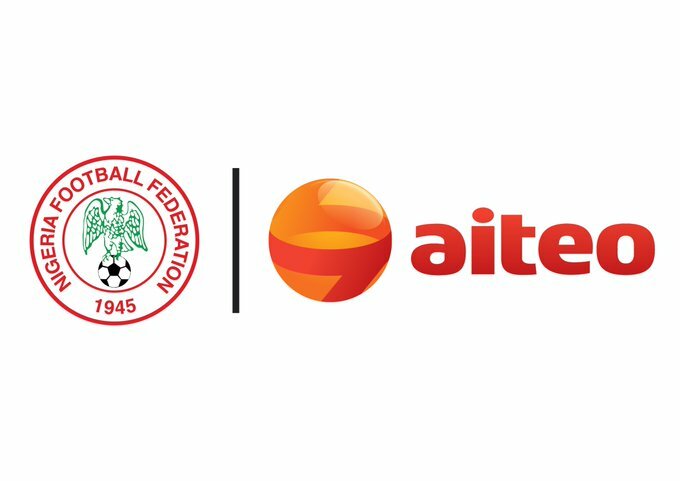 Indigenous oil company, Aiteo group has reached an agreement with the Nigeria Football Federation, NFF to pay with N500 million annually all Nigerian national football teams coaches’ salaries for the next five years. The Deputy Managing Director, Aiteo Group, Francis Peters, made the disclosure on Wednesday at the agreement signing between the representatives of the company and the Nigerian Football Federation (NFF) on Wednesday in Lagos. Peters said the deal was for the development of football in Nigeria and the agreement was as a result of the groundwork done by Amaju Pinnick, the President of the NFF. He said; “That is why we decided to partner with the NFF in paying the coaches’ salaries with N500 million per annum for the next five years. “The sponsorship will commence on May 1, 2017, and will last five years with an initial option of a one-year extension. “The deal grants exclusive rights to Aiteo Group and will cover all local and foreign components of the NFF’s financial obligations for the main team which is dissimilar to the recent deal with Zenith Bank. “Aiteo Group’s overreaching social responsibility objectives are to encourage a positive impact through our activities in the society at large and which it has successfully done for several years. “We are convinced that we are turning a new chapter in Nigeria’s football with this agreement in place,’’. “This is the long-awaited injection of funds the NFF has earnestly yearned for. NFF President Amaju Pinnick speaking at the signing said the journey started two years ago when he was campaigning to be an Executive Committee member of the Confederation of African Football (CAF). He said; “When I came back, I researched about the company and later met with them. “They accepted my proposals as soon I contacted them, and within 10 days of discussion, we reached an agreement on how to be official sponsors of the NFF. “In the next five years, there will be nothing about owing any Nigerian coach. “ I call on other corporate organisations to support the NFF to succeed, and I assure you, we will abide by every aspect of the contract signed today,’’. The Chairman of League Management Company (LMC), Shehu Dikko, applauded Aiteo Group for becoming the Official Optimum and Technical Support Partner to NFF.